Barely one of every 20 rivers found in the Northeast run to the ocean without an artificial dam altering flow patterns. Damming rivers was historically a profitable venture that allowed for control of nature and power generation. Now, many of these structures stand like tombstones. They represent a time when wild rivers were plenty and people were few. We are beyond that point and a greater economic and environmental good is actually derived from liberating these rivers. For a little more on dams, I turn to the American Rivers organization which advocates both removal and modernization. Dams have grave ecological impacts, many which we can deduce with reasoning. What’s even more interesting is the economic impact of dams and how International Rivers indicates that they increase poverty in places like Africa. In fact, large dams actually require people to be estranged from the land, especially if they’re downstream of the construction. 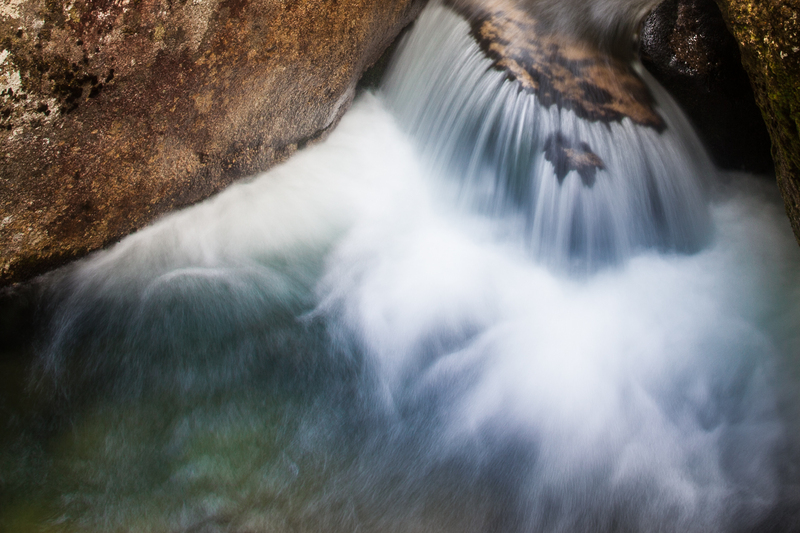 Oftentimes, people upstream are displaced. Damming a river is a lose-lose in many cases. Certainly, the cost is grave in many cases. Here’s another very interesting movie on a dam project in Patagonia [Patagonia Rising] filmed and produced by my good friend Greg Miller. 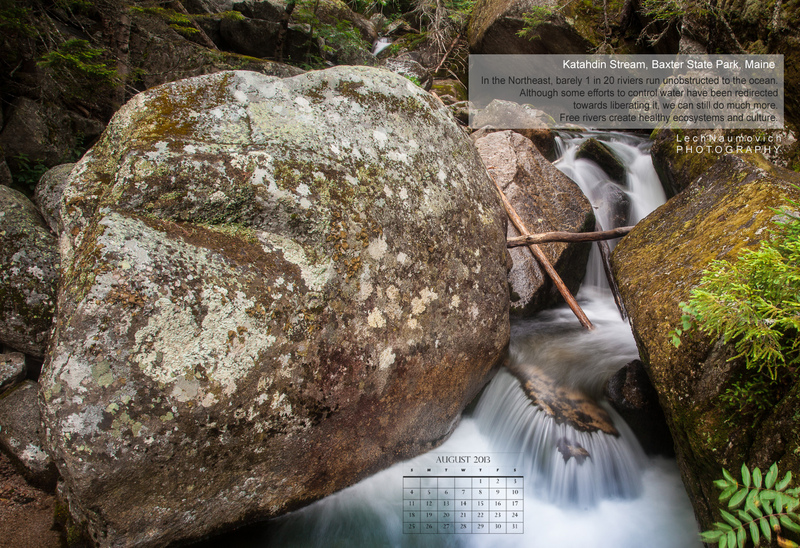 Here’s my tribute to free running streams – like this one in Baxter State Park – a desktop calendar August – free for all who want to use it as a calendar.